Dietary habits are the habitual decisions an individual or culture makes when choosing what foods to eat. Our daily lives are fast, filled with stress. But we do need overcome the habits of eating to stay healthy. I want you to be healthy. Below are the five foods to get rid-off asap, to make your life healthy and meaningful with weight loss. Let me know in the end what you think of it, and how to plan to minimize or make adjustments with these daily consumed foods with little or no benefits. When it comes to calorie count diet coke seems to be a better option than the sugar loaded aerated drinks. 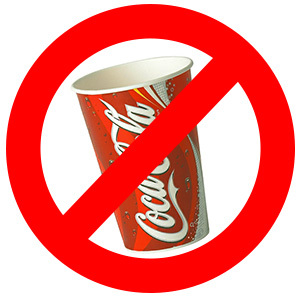 Artificial sugars and caffeine (Red Bull) isn’t something we must consume regularly because it is zero in calories and does not hinder our weight loss efforts. It does harm your body in a lot of ways. Diet Soda also have the same adverse effects. Swap with plain soda instead and some lime chopped berries, oranges, melons, mint leaves. If you are happily consuming mayonnaise in your foods, salads and sandwiches thinking it brings taste and variety, your are darn wrong. 80% of mayonnaise contains oil. Research says, “100 grams of mayonnaise contains 680 calories”. It can be bad for your health and heart. So think it well before you add it to your next salad. Swap it with Curd. Take some home-made yoghurt or a tetra pack slim curd and drain out the excess water. Make it a spread on your sandwich to match your needs and flavour it as per your taste. Add grounded basil and sun dried tomatoes, garlic and onions, roasted onions, peppers, mint, coriander, whatever your favourite combo is. Enjoy this healthy meal. Something that’s actually healthy can soon become unhealthy by adding loads of sugar, cream and artificial flavours to yoghurt. Plain yoghurt is a pro-biotic snack as a dessert item. If you are serving flavoured yoghurt as an alternative to ice-creams and pastries after a meal, it’s definitely a wiser option. Take plain yoghurt and flavour it yourself with some chopped fruits, grapes, peaches, cherries, etc. Stir it well and fridge it for sometime. It will have a higher nutrition quotient. Flavoured mango curd is a great option and tastes yummy. This is marketed as a better option than butter. But, actually, margarine is partially loaded with hydrogenated fat which increases the LDL (bad cholesterol) and thus increases the risk of heart disease and inflammation, a known trigger to premature aging. Swap it with mint-coriander chutney packed with loads of antioxidant and vitamin C, E and low on calorie. IT definitely adds more taste and health benefits to any sandwich. They add a dash of spice and flavour to your daily meals, breaking everyday monotony of cooking styles. Remember, along with the richness of its taste, pickles are high source of oil and sodium. The additional oil plays a havoc role in your lipid profile and all puts a load on your heart. Excess sodium spoils your electrolytic balance and thus effects blood pressure. Swap it with vegetables like cucumber, carrots, onions made into water, vinegar or brine based pickles. These pickles do not last for months (since they lack preservatives) as thus should be consumed soon.